Toyota agree late yesterday to pay an unprecedented fine to settle issues related to unintended acceleration. The news last night that Toyota would pay $1.1 billion to settle claims was brought to you first by Torque News reporter Anthony Faccenda. Toyota, which is currently the leader in quality among all manufacturers selling automobiles in the US, and also the resale value leader, is also the leader in recalls for the past year. Customers who own vehicles that are affected will be pleased to hear that not only will they receive extended warranties, but also cash settlements and improvements to the vehicles at no cost. For the complete story please click this link. Toyota had all but put the unintended acceleration bugaboo behind itself, but today’s announcement by the National Highway Traffic Safety Administration (NHTSA) brings more unwelcome publicity to Toyota. In the time period of about 2009 to 2010 NHTSA reports that Toyota technicians and mechanics had begun to report that they thought floor mat pedal entrapment might be the cause of some of the alleged reported unintended acceleration events. NHTSA and the federal government have levied the highest possible fine for not reporting this and taking corrective action. The fine is $ 17.35 million. That is a record, and it is also the most that the law allows. The main unintended accelleration issue that Toyota was found to have been in conflict with is the law is regarding timeliness for reporting an issue and then taking action. Once an automaker discovers that there is a possible safety issue that needs to be reported to NHTSA, the company has five business days to make that report. The company is then required to promptly issue a safety recall. Toyota is not being fined for causing unintended acceleration, but rather for not reporting the discovery of a possible issue within five business days. It is very common for automotive manufacturers to pay such fines for many issues, not just unintended accelleration, but they are rarely as large as this one is. Volvo, a company that pretty much defines safety in automobiles, was recently handed a steep fine for the same violation. Not unintended acceleration, but rather failing to report a safety defect in a timely manner and then issue a prompt recall. Volvo's fine for that incident, reported here in Torque News, was $1.5 million. Today’s press release from NHTSA does not mention if any of the 63 known incidents that were reported late involved injury or death of any motorist. 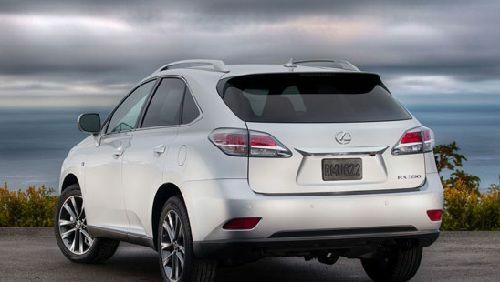 We can tell you that the model mentioned, the RX350 and RX45h form model year 2010 is not the same model related to the State Trooper and family’s death that began the media spotlight on unintended acceleration in Toyota (Lexus) vehicles. Also, the methodology of the possible unintended acceleration mentioned by NHTSA is unrelated to any drive by wire throttle, or electronic causes. These types of fines are actually civil court settlements. NHTSA and the federal government cannot arbitrarily issue fines. Rather, they must use the civil court system to force automakers to the table. In both this case, and the Volvo settlement, the fines are not jury awards, but agreements between the parties prior to trial. Post Script - The author is the former owner of a 2010 Lexus RX350. Should've paid off more politicians, I guess.